Monday’s work in community led to two actions expressing our solidarity with prisoners beyond the shores of Guantanamo Bay. Marc introduces us to this vision. We then share word from both those actions as well as our experience with author Marc Fallon (Unjustifiable Means) in the evening. Read on, friends…if you’re in DC, please join us for our book launch and performance tonight on the eve of the J11 rally! Coming from a position of some privilege, I am able to spend most of my time volunteering at the InterReligious Task Force on Central America, based in Cleveland, Ohio. At IRTF, we often speak of the need to connect our regional focus (human rights violations in Central America and Colombia) to other areas of the world where these same violations take place. As such, we speak out against the atrocity at Standing Rock, while the indigenous Lenca people of Honduras have also been defending (and dying for) their sacred water sources for years. As we condemn the militarized Mexico/U.S. border, we also condemn border walls imposed on the Palestinian people. We denounce the exploitation of labor in Central America, knowing that sweatshops exist in China, Bangladesh, and Vietnam to bring cheap t-shirts and ties (I’m looking at you, Mr. President) to U.S. shores. And as we in Witness Against Torture work to uplift the forty-one men remaining in Guantanamo, so must we call attention to clandestine prisons and torture sites in the United Arab Emirates, while also opening our hearts to victims of mass incarceration in the United States. On this second day of the Fast, we held vigil outside of the DC Jail in the morning, before demonstrating at the UAE Embassy this afternoon. We do this because it is a beautiful and necessary thing to recognize the humanity of all people, wherever they may be, whether they be caged or free. We sang: The walls that they build / to tear us apart/ will never be as strong as/ the walls of our heart. Soon five more appeared waving, and at another window with a quick-made Thank You sign. The song that made my tears fall:I am not afraid/ I am not afraid/ I will live for liberation/ ‘cause I know why I was made. The eight-story cement jail was successfully litigated for overpopulation and abuses beginning in 1971 Campbell v. McGruder. The practice of double-celling was halted in 1985 until conditions improved.A March 2016 report decries the conditions faced by women in the facility (The women average age 39 years; 90% black, 5% Hispanic, 3% white). One hour of recreation per day. No email or video visitation is available at CTF. CTF does not offer family days or any related events. D.C. women who give birth during incarceration are separated from the child immediately after birth. Of the 2723 women incarcerated at CTF 2011-2014, 245 women were pregnant. Eleven of these women gave birth while incarcerated. As we left the facility grounds we sang. I have not/ come here alone/ my sister is locked up in a cell/ so how can we not rebel/ As long as these prisons exist/ we’re gonna be here to resist. “We write with great concern about reports of UAE officials maintaining clandestine prisons in Yemen,” states a letter that Witness Against Torture wrote to Yousef Al Otaiba, the United Arab Emirates Ambassador to the United States. On Day 2 of the Witness Against Torture fast, members of the group attempted to deliver the letter to Ambassador Otaiba. Security Guards declined to accept the letter, but Brian Terrell observed that while addressed to the Ambassador, it was meant for a broader audience. Witness Against Torture wants to raise widespread public concern over reports of Yemeni prisoners being arbitrarily detained, tortured and sometimes disappeared in a network of 18 secret prisons in southern Yemen. Already, Human Rights Watch and Amnesty International have corroborated The Associated Press report published on June 22, 2017 which charges that officials from the United Arab Emirates operate the prisons and subject detainees to gruesome torture. Many people living in Yemen have already endured unimaginable suffering over the past three years. Saudi-led coalition bombers, supported by the U.S. regularly attack civilians with weapons sold by U.S. military contractors; residents of cities and towns risk being shelled by mortars or killed by snipers from both sides of a civil war; and, UN officials have identified one million people with cholera and warn that 8 million Yemenis face conflict-driven famine in the world’s worst humanitarian crisis. Adding to the nightmarish conditions afflicting Yemeni people are fears of being imprisoned, tortured and possibly disappeared in a secret prison. The AP report noted that Amnesty International called for a U.N.-led investigation “into the UAE’s and other parties’ role in setting up this horrific network of torture” and into allegations the U.S. interrogated detainees or received information possibly obtained from torture. “It would be a stretch to believe the US did not know or could not have known that there was a real risk of torture,” said Amnesty’s director of research in the Middle East, Lynn Maalouf. An estimated 2000 people in Yemen have claimed that their loved ones have disappeared. Wearing orange jumpsuits and black hoods, WAT members formed a line in front of the United Arab Emirates Embassy, bearing placards reflecting questions asked in their letter: “How specifically does the government of the United Arab Emirates respond to each of the allegations made in the June 22nd, 2017 AP report? What information can you offer regarding the presence of U.S. interrogators who acknowledge having been in Yemen to conduct interrogations? How has the UAE government responded to the families and lawyers who claim that an estimated 2000 people in Yemen have disappeared? WAT encourages its members to help amplify Yemenis voices, as fears and grievances are raised, through education, outreach, publicity and ongoing demonstrations. Please see the following links for our press release and letter. We visited Kramerbooks in the evening, joining a packed room for a presentation by Mark Fallon, author of Unjustifiable Means. Chris writes a review of his experience. With aching legs I arrive at Kramerbooks two hours early. Handling the book I see that every page has fragments blacked out, a page front and back, a paragraph, a single word. Multiple direct objects are reduced to just one: the interrogation training was received at Fort Bragg and…. Interrogation training—read torture training. Compared to Mohammadu Ould Slahi’s book–held in CIA archives for ten years, censored pages notwithstanding–the effect is not as sincere. No mention of WAT partners Amnesty or CCR in the acknowledgements. A chapter named ‘Honor Bound to Defend Freedom’ makes no mention of the 2004 conscience-searing play by that name. The book closes at “this writing” with 41 detainees and an ongoing price of detention at 11 million per prisoner. Thus, preparing to meet the author with gratitude and a few searching questions, I plunk down the overpriced $27.11. After an hour I am acquainted with the gradient transition of Guantanamo in 2002 under the care of General Lehnert, the control of General Dunlavy and then the honor of General Miller. “By the summer of 2002” said Fallon at Kramerbooks, “the damage had been done.” I’m left with the sad fact Fallon acts much like the retired intelligence agent of the 1970s seeking to turn experience into value. Today’s work (Wednesday) will include an afternoon grieving procession and ritual as well as our evening book launch at Impact Hub. Learn more about our book here. Deep gratitude for your solidarity, friends. ***If you’d like to receive daily updates from this week’s Fast for Justice, please send an e-mail with “fast updates” in the subject to witnesstorture@gmail.com. Post any pictures of your local activities to our Flickr group. ***Please let us know if you would like to receive daily updates from the fast by sending an e-mail with “fast updates” in the subject to witnesstorture@gmail.com. 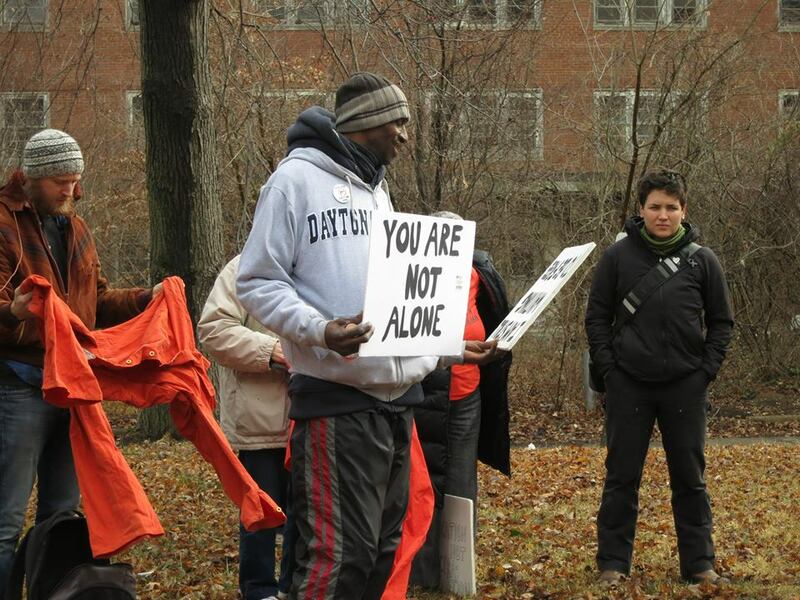 Witness Against Torture members began assembling in Washington, D.C. on Sunday evening, January 7. Matt Daloisio and Luke Nephew arrived in a van that Matt had carefully packed with twelve years worth of posters, banners, and other paraphernalia, along with sleeping bags, pillows, cups, winter clothing and other essentials for a week of fasting intended to close Guantanamo and abolish torture forever. Matt spent close to an hour organizing the equipment and the posters. “He curates it,” said Josie Setzler, recognizing that Matt alone seems to know what is packed in every box and stored at the Maryhouse Catholic Worker. He organized a wall of past posters and flyers that offers a montage of WAT history. In an opening circle reflection, Matt noted that many of the prisoners whose visages and names appeared on banners over the years have been released. In 2007, there were 430 prisoners in Guantanamo. Today, 41 men are imprisoned there. Matt mentioned that Shaker Aamer has been reunited with the son whom he had never met while imprisoned in Guantanamo. Mohammed Ould Slahi, author of Guantanamo Diary, has finally been released. These encouraging realities don’t in the slightest diminish the urgency we feel in seeking the release of the 41 men still imprisoned in Guantanamo. Yet our sense of renewed purpose was heightened as Matt “curated” the stage, setting the scene for actions this week. Early Monday morning, we met members of the Dorothy Day Catholic Worker at the Pentagon for their weekly vigil. Art Laffin led us in the following Call and Response, as we greeted Pentagon workers hurrying into the building. His words movingly framed our week’s work. Good Morning. We greet all Pentagon workers and police in a spirit of peace and nonviolence. We, members of the Dorothy Day CW and Witness Against Torture (WAT), come to the Pentagon, the center of warmaking on our planet, to say YES to life, love and justice, and NO to the death-dealing policies of a warmaking empire. God calls us to love our neighbor and to never mistreat, torture, kill and wage war against them. We witness in the hope that the Pentagon will one day be transformed into a center that serves life, not death! Response: Torture is a Crime, Close Guantanamo Now! WAT formed in 2005 when 25 Catholic Workers and other peacemakers from the U.S. went to Guantánamo Bay and attempted to visit the detention facility. For the last 12 years members of WAT have fasted and engaged in numerous nonviolent actions to call for the closing of Guantanamo. Today is the first day of WAT’s week-long “Fast for Justice” to mark the 16th year of the first prisoners being taken to Guantanamo on January 11, 2002. We call for the closing of Guantanamo, and for an end to the crime of torture and indefinite detention. 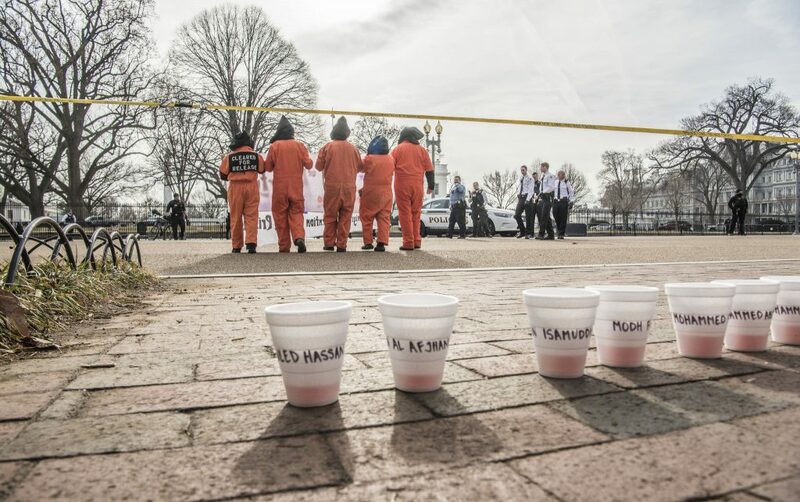 We remember and pray for all victims of U.S. torture and warmaking, including the 9 men who have died at Guantanamo since its opening. Adnan Latif was one of these men who have been all but forgotten. 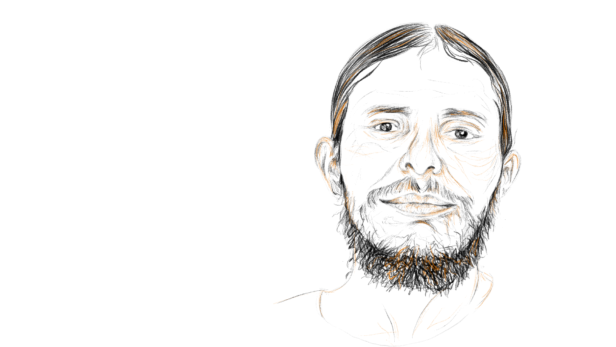 Latif, who spent more than ten years in Guantanamo without ever being charged with a crime, would often go on a hunger strike to protest his unjust confinement. A Yemeni citizen, poet, father and husband, Latif was subject to severe beatings, druggings and torture. He had been cleared for release at least four separate times, yet continued to be imprisoned. On September 8, 2012, Latif was found dead in his cell. No independent investigation has been conducted into his death. 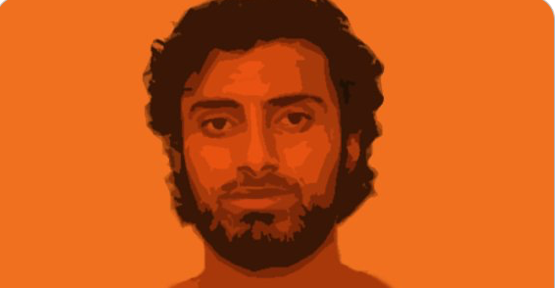 We call for an independent investigation into the death of Latif and the other eight who died at Guantanamo! Before he died Latif wrote the following words: “Where is the world to save us from torture?” Adnan Latif: we and many others hear your cry and that is why we are here today! The U.S. Senate Select Committee Intelligence Report on the CIA’s Detention and Interrogation Program was released on December 9, 2014. The report details actions by CIA officials, including torturing prisoners, providing misleading or false information about classified CIA programs to the media, impeding government oversight and internal criticism, and mismanaging the program. It also revealed the existence of previously unknown detainees, that more detainees were subjected to harsher treatment than was previously disclosed, and that more forms of torture were used than previously disclosed. We call for accountability for the entire chain of command who are responsible for carrying out torture, including those who, ordered, perpetrated, approved and provided legal cover for the torture of detainees. In the name of the detainees who continue to be unjustly held at Guantanamo, we call on all who work at the Pentagon to implore President Trump to issue an executive order to close Guantanamo immediately! Today, 41 men continue to languish at Guantanamo enduring tortuous brutal confinement, most for the last 16 years, never knowing their fate, with no resolution to their cases in sight. We need to see these men as members’ of our own blood family and act on their behalf. In today’s scripture in the Catholic lectionary, the prophet Isaiah declares: “I, the Lord, have called you for the victory of justice…to bring out prisoners from confinement, and from the dungeon, those who live in darkness.” (Is. 42: 6-7) What if we were to live as though this biblical mandate was a Divine summons for us to act on here and now, today? Now is the time to end the sin of torture and to proclaim liberty to the captives! Please join us as we commit to resisting Islamophobia and all forms of oppression, and eradicating what Dr. King called the “triple evils of poverty, racism and militarism.” Together, let us strive to create the Beloved Community! Lu Aya (Luke) Nephew offers the following poetic reflection on our experience. It’s the darkest hour as we levitate out of the metro. Then a golden splash licks our eyes as we rise up. We float across the sidewalk. We glide into position. Swoosh. We in formation. Face to face with the mansion of murder. Our eyes stare in unison. Our silence faces theirs. Our presence flourishes up into song. Their alibis dissolve into uncomfortable coughs. Orange jumpsuits bellowing melancholy messages in all kinds of languages at the volume of the breeze through the leaves. Fierce like that. Recklessly righteous. Soaring wing to wing with the heart-filled history of the Dorothy Day Community witnessing the wonders of creation. Right here. On this very land. This very patch of precious earth that cradles us sweetly in defiance of all the empires ever. What a sight we are to behold. Our love so radical it is warming up the cold. The miracles of human life that are currently confined in the tragedy of working in the pentagon begin to pass by the natural temple of our tableau. And turns out – they don’t see the scene I described. They see a bunch of beating hearts wearing activist uniforms doing activist things. We saw ourselves as tired workers, stumbling out of sleep into the freezing cold and bumbling with a bunch of signs. Unable to untangle the mic chord or unfold the banner or take the echo out the amplifier. We saw ourselves fumbling into a good try. A valiant effort. A good intention. But actually. Get this… we kinda loved each for it. and we kinda really deeply loved our families and friends and the detainees and their families and their friends and all the other families and friends. We kinda loved. A little bit. And that little bit of love was a smooth stone deep in the forest that reminds the weary traveler of the path back home. And without realizing that we had just reminded each other where to walk while alive, we set off. Together. And we might never see what really happened. Until everyone. everyone gets home. From home… a golden splash licks our eyes as we rise up. At the Pentagon Chris Spicer-Hankle lifted up the name of Khalid Qassim, a Yemeni detainee still at Guantanamo. 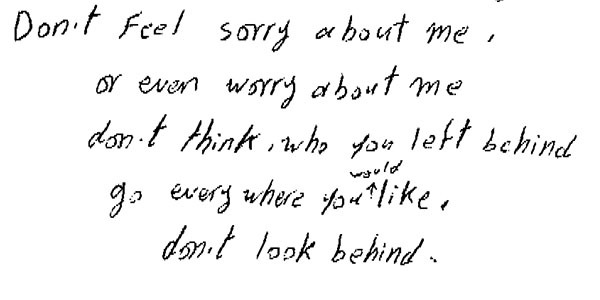 Later in the morning we received a message from Khalid’s attorney at Reprieve. 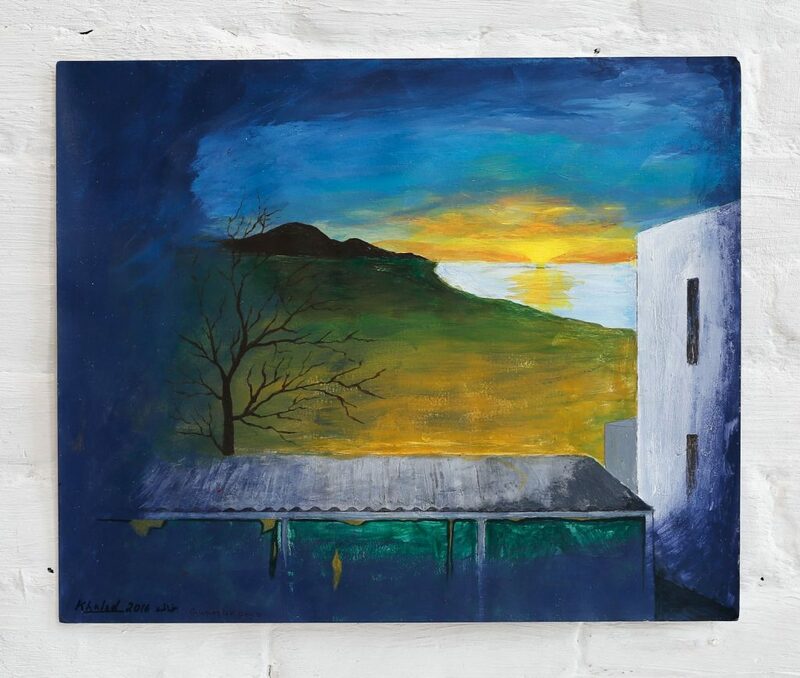 She sent us images of Khalid’s moving artwork from the exhibit Ode to the Sea at John Jay College of Criminal Justice in New York until January 26, 2018. See these images on our Facebook page. Read Khalid’s bio on the Reprieve website. Monday turned into a rainy day in DC, a perfect day to work hard on our action planning. Please stay tuned this week as our actions unfold. We offer you our heartfelt gratitude for sharing this journey in solidarity with the men in Guantanamo and prisoners everywhere. Please “like” us on Facebook & follow us on Twitter & Instagram. Post any pictures of your local activities to our Flickr account and we will help spread the word. Witness Against Torture is completely volunteer driven and run. We have no paid staff, but do have expenses associated with our organizing work. If you are able, click here to donate. For further information or to RSVP, please email witnesstorture@gmail.com. **The Fast: Our “fast for justice” is a liquids-only fast. Participants may adopt their own definition of liquids. Juices, teas, supplements, and coffee will be made available to participants. Those who choose not to fast may obtain meals on their own.